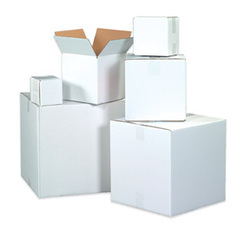 Eco friendly, high durability, long lasting, light weight, folded corrugated Box. This product is manufactured using the highest quality raw materials in latest box making technology, Using modern die cutting technology to maintain proper size and quality..Ideal for gift Items and e-commerce packaging and moving. Since commencement in the year 2016, Vardhman Enterprises is primarily becoming the focus of attention of the entire industry. Being a Sole Proprietorship entity, we not merely focus on maximizing profit but also gratifying the customer by our manufacturing/wholeselling practices which is our chief significance right now. The ranges of products in which we deal comprises of BOPP Tape, E-Commerce Packaging Materials and All Type of Industrial Packaging Materials.